You know you're a teacher when you're mad that you can't think about your fantasy classroom in your head! 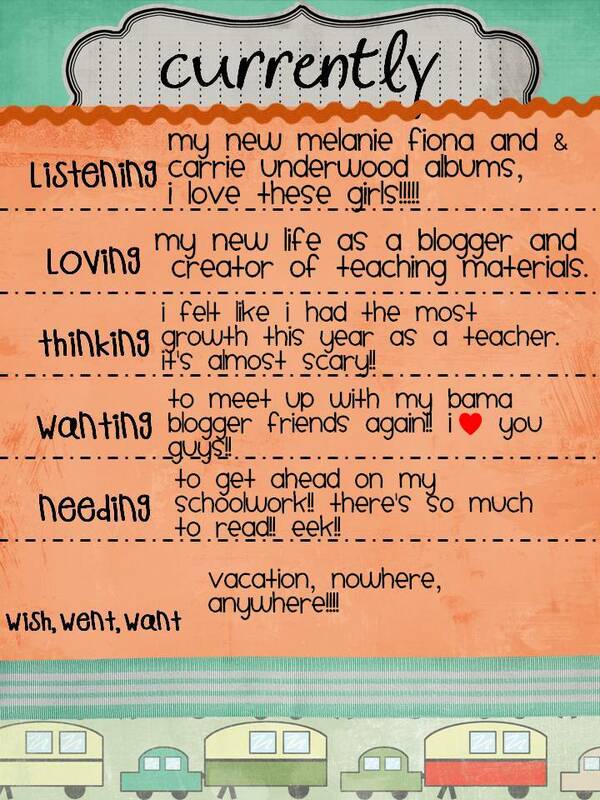 I really want to do all of the cute stuff I've pinned on Pinterest! Ok, ch. 3, Daily Five. I really can't wait to implement this into my room. I ask myself is it even possible that I can pull this off successfully! This is the part that truly scares me. As I moved to Kindergarten, I knew that I would be modeling more than I ever have before. Let's just say that I discovered that I didn't model anywhere near as much as I should have!!!! So, I've decided instead of doing busy work, and trying to quickly assess and put up stuff and all of that stuff that teachers do at the beginning, is going out of the window!! I think it is going to take 150% more than I knew that it would. However, I definitely think it will yield a better result in the end. 1. Establish a gathering place for brain and body breaks. 2. 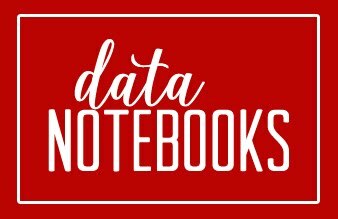 Developing the concept of "good fit" books. I think I've got to take a good look at my books, and definitely set them up so that they're accessible to the students. I really like the example of bringing in different shoes and discussing their purpose with the students. It's really a great visual for our sweet kinders! I think that this was something that was missing with some of my students last year. Luckily, my principal loves this kind of stuff, so I won't have a problem hanging these everywhere! She loves to see the children's learning, and I already have some great ideas in mind. I've learned that sometimes I can create the bare bones of it, and I let the kids help me with the meat and potatoes portion of it, so to speak! I have always had book buddies in my classroom, but having them and handing them to the kids on the first day is definitely a new one for me. You know how we teachers are about our books!!!!!!! 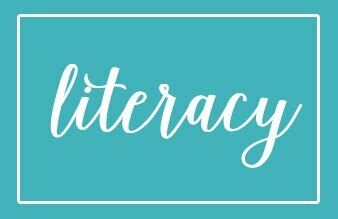 It's not the reading backwards or upside down that worries me, it's our precious babies that haven't come in to contact with a book, and then they tear it up. ****SIGH**** I'm really trying to let go of this, and to remind myself that they have to learn, and that they are replaceable!!! I, Angela, do solemnly swear, to get over it!! There! I use Give Me Five a lot, and it has really been useful in all situations, whether we are in the classroom, or if there is an emergency. I will say that I have been thinking about incorporating cymbals into my classroom for a while now. Especially where different sounds mean different things. Hmmmm......food for thought. 6. Using the correct model/incorrect model approach for demonstrating appropriate behaviors. My favorite part of this chapter talks about correcting students immediately, instead of allowing them to continue to practice the wrong behavior. I think by the time we do correct behavior, it has really become a habit, and we know how hard those are to break! I also like how they used the student who may be more likely to cut up, and had them to model the incorrect behavior, then model the correct behavior. Whew! Scary, right?!?!? Let me know if you come up with a name for the mat area, lol!!!!! Alright, before I get to the Daily Five, I've got to share something with you! Well, as some of you may know, I was moved to Kindergarten from 1st grade at the end of last school year, and another girl was moved from 2nd down to 1st. Well, a lovely 2nd grade co-worker has gotten a job closer to her house, so we have an open slot at our school. So, my principal called me yesterday, and asked did I want to move back to first grade, as my other friend is moving back to 2nd grade. Well, I'm staying in Kindergarten folks!! (I did have an ulterior motive, lol!). I moved last summer from 1st to K. I moved in January after the tornado! I would have to move AGAIN this summer, and then move AGAIN when our school is rebuilt, which should be next summer! I just couldn't see myself packing up AGAIN, and moving in this hot sun all the way to the back of the school (which is a long way a way, by the way)!!! I told her I might move back in a few years when there's another opening. 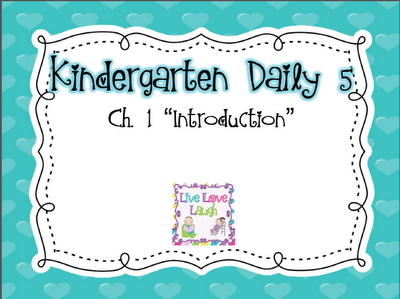 Now, on to the Daily Five!!! Hmmmmmmm.........that's a big word right there! It boils down to a few students that I trust implicitly! I do think that I learned to trust my students more this year. It's amazing that it also coincided with what I thought were better centers. I happened to notice that when I had things that students were engaged in, center time was smoother, and I could focus more on my small group, instead of micro-managing everyone else. However, I definitely agree with the sisters! The more we trust them, the better they do, in every area of the classroom. It's just that some 5 year olds can be downright devious!!!!!!!!!! I'm just sayin'!!! Now, I'll tell the truth on this one, I have a HUGE problem allowing students to choose where they are going to go for centers. I mean, I have gotten better since I first began teaching. I make sure that there are several things for them to do in a center, and even that simple choice has improved the quality of center time. Hmmmm....maybe their on to something here! I mean, I'm just wondering, what if students want to go to the same thing everday, or if two students who shouldn't be together because they'll get into trouble want to be together, I just have so many questions about that!!!! I think I do a pretty good job at building a community in my classroom, but we do need to work on disrupting others while working. This is where self-monitoring comes in, and I definitely need to help my kiddos with that! I am all ears here!!! However, this is definitely something that I want to get better at, because it can become a monster in the room, especially if they're all at each other's throats! I definitely need to spend more time explaining the why's of everything!! I think that sometimes we can believe that they are a little young to understand it all, but they are definitely brighter than we think. For me it all goes back to developing in them that love of learning, of not being afraid to mess up and make mistakes. It makes me so sad to see kids that are afraid to learn! For these particular kids, I'm worried about their future, because I'm thinking that they have so many years of schooling to go! I want all of my students to be like Jenna, so intent on learning that she wasn't going to let anyone get in her way!! I'm REALLY interested in building stamina. Once I read this section, it made so much sense to me! Right now, my exercise routine consists of the Couch-to-5K app on my iPhone. Everyday I'm building my stamina, my endurance to run longer and longer. Now, I get on that treadmill in the morning, and sometimes I just want to get off and go home and eat breakfast! However, I know that I have to keep going, and it still amazes me that I can do as much as I can do without getting tired! And then I start to think, hey, that was easy today, when last week the same thing made me exhausted! That's how learning has to be with our kids, to get them to a point where they want to keep going and getting better. One day, they can look back and say, hey, that was easy today! Now, I think as teachers this is just in our nature!! I can 100% say that I get in the way a lot of times! Sometimes I feel as if I need to go around monitoring and checking, but I guess they feel the same way we do when we have a walk-through or and observation! Especially when it is unannounced! I can see myself in their narrative, especially when I think I can hand it over to my kids. When I step back, it all falls apart!! I think it definitely goes back to trust, trusting them from the beginning with something that I've entrusted to them. Whew!!! It can be scary to realize all that you are not doing as a teacher! I also know that it will be better for my students in the end!! I'm so excited, I can hardly wait!!!!! Congratulations!! 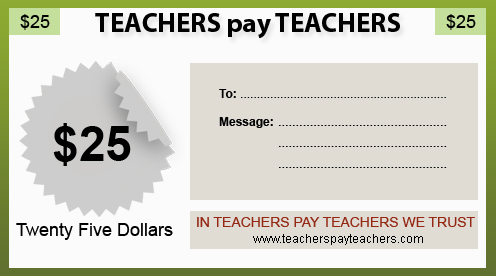 Your TPT gift certificate will be sent to you shortly!! Thank you everyone for participating! Hey guys, thanks so much for entering my 200 follower giveaway! Don't worry, if you haven't had a chance to do so, you still have about 8 hours to do so! For more information, click here. Just a few more hours and we will know who the lucky winner is! Hmmm.......makes me kind of wish that I could join, just to get the prize! 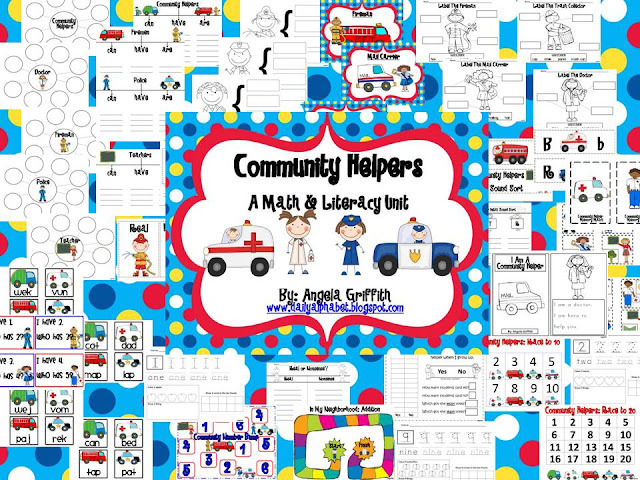 Anyway, I've also posted my new unit on Community Helpers, check it out! I'm so sorry that it took so long, I've had like a million things going on! Anywho, here it is my 200 follower giveaway! I've really had a great time with this blog, and I am so thankful for each and everyone of you! 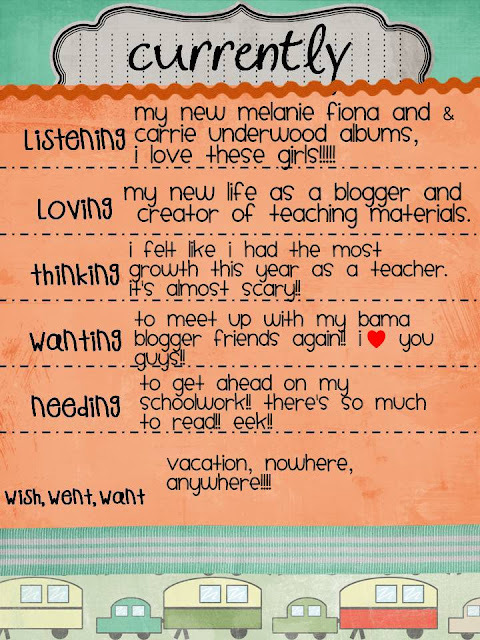 It seems like just yesterday that I got my start in blogland! 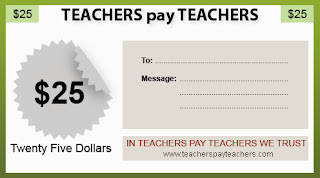 So, if you happen to be the lucky winner, then you will win this $25 gift certificate to Teachers Pay Teachers, which is my favorite place to be! You have a few ways to enter, so choose a few or choose them all! 1. Follow my blog, and leave a comment and your email address. 2. Follow my TPT store, and leave a comment and your email address. 3. 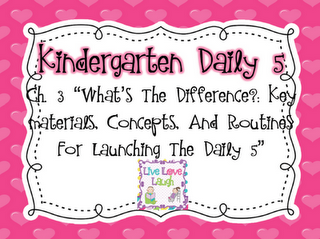 Like The Daily Alphabet on Facebook, and leave a comment and your email address. 4. Blog about the giveaway and leave a comment and your email address. The giveaway ends Sunday, June 17, at 7:00 ﻿p.m. Good luck! This giveaway has ended. Thanks to everyone who participated!! 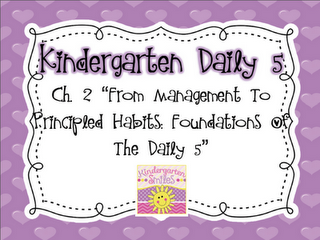 Alright, I'm linking up with other K teachers for a book study on The Daily Five! Here are my reflections on Chapter 1. I'm so excited!! Practice makes permanent, in most cases. We do a LOT of talking the first few weeks of school. We discuss what is desirable, and what is not. We also take turns showing what the correct and incorrect behavior looks like. I start of by doing a lot of modeling! As kindergarten teachers, we know how important that is! Sometimes you can think you've done enough, but in reality they need so much more. So, when in doubt, model some more! I also praise students who are exhibiting the desired behavior. That definitely gets the attention of the other students. 3. How do I monitor student behavior? whole group? small groups? individual? In whole group, it's pretty much ok, I don't have to monitor as much because I am in close proximity to all of the students. If I do, then I may call their name, or look at them and hold up a finger, which lets them know that they've earned a behavior point (not a good thing). In small group, usually I let my eyes do the talking! The majority of them gets it at that point. I have had to give individual behavior charts to some students. 4. What do I do when a student is not exhibiting desired behavior? If after trying to change their behavior positively does not work, then unfortunately we have to move to negative consequences :-(. Each students earns 2 points before moving on to the next color, all the way to red. I usually keep up with it on my clipboard, but lately I've gotten pretty good at keeping up with it in my head. They also do a great job of keeping up with it. Well, in my defense, I have done better with this! It used to be 100% mine, and now I think I'm about at 65%-45%. Don't look at me like that! I'm working on it! They start each day on green, and have to add sticks to it. The go to yellow, then orange, and then red. Thinking about eliminating orange. We'll see. Up, up, and away! I know, that sounds bad! I have what they need out, and they are responsible for the upkeep of what is in centers. Sigh, I have a lot to work on! Check in tomorrow, for my special announcement about my 200 follower giveaway!!! Don't miss it! Hey guys! I hope you are enjoying your summer, I know that I am! 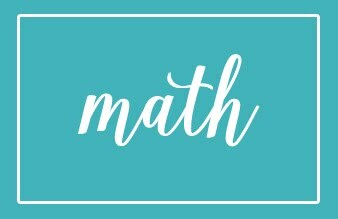 I've been pondering some things, and I've decided to turn to my blog friends for help! At my school, each student has an agenda to be used as communication between home and school. I also use a take home folder, and I have a weekly behavior chart that the children color each day and it is also sent back and forth to school for a week. Well, after 4 years, I'm thinking of changing the way I send it home. Changing to what? Good question, because I have no idea! I know that some teachers just write into the agenda, and put some kind of a happy or sad face. My question to you is, how do you communicate with the parents the students' behavior for the day? Is something sent home daily, or do you just write in the agenda or stamp, etc. ?